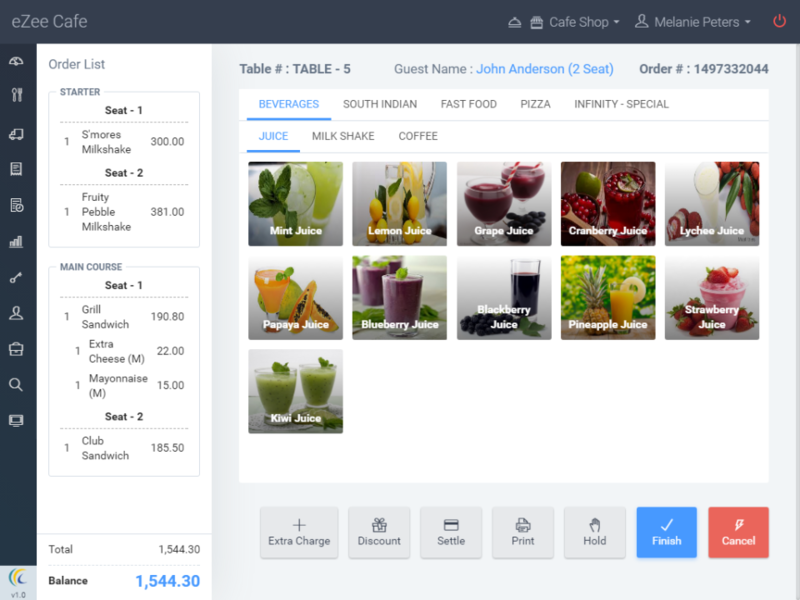 eZee Optimus - A fully Intuitive Cloud Restaurant POS System is suitable to work in restaurants, bars, night clubs, quick service restaurants, delivery and other operations. The simple approach, ease of use and rock-solid reliability makes eZee Optimus a great system for your POS needs. 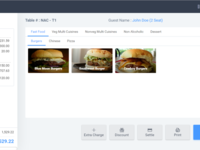 Whether your restaurant is a single store or a part of nation wide chain, eZee Optimus will simplify your restaurant operations. It works well on touchscreens as well as on desktops and tablets. eZee Optimus Reviews Recently Reviewed! This is what i was looking for a Hospitality Software !! 1. Can Access to almost all windows within the same Window. 2. Great Help Team, Online Technicians as so fast with great Knowledge, Especially the Technicians appointed in the Maldives, the customer representative is so good enthusiastic and helpful. 3. Easy to use and no need for too much training. 5. The price you pay is extremely economical compare to other software. YOU PAY ONLY IF YOU DO BUSINESS option is the best. I choose i!! 6. Mapping of Payments and Specialized reports based on your demands is the best in this software. 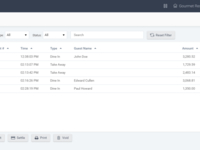 Cons: Need some more accounting features, for reporting and direct and indirect expenses. To reserve it is easy, but consumes little more time for full filling of information due to separate windows. Overall: It is worth the money we spend on it! Easy and 24/7 Help support available. easy to use, training and support on fingertips. They develop lot of reports based on the user preference, For me they did Maldives Tax report, Occupancy report and is developing green tax automation! 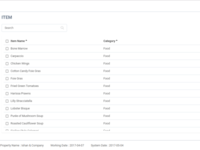 Liabilities (Such as Taxes) are easy to track in different reports. Statistics to show th e company overview. Hi Ali, Thank you for sharing the detailed feedback of eZee Optimus. Your appreciation for our Support team is commendable. Regarding accounting features, we¿ve a ready interface with multiple vendors offering accounting software services. We suggest you to get in touch with your account manager to get it done. Best Regards, Team eZee. Pros: Ease of use. Person with basic computer knowledge can operate this very efficiently. I can access it from anywhere to check how my resturant is doing Don't have to call managers for details. Just login and everything is in front of you. Cons: It's dependency on web browser. Would love to have a app for it. Sometimes the software create issue in running of optimus. Hi Prateek. Thanks for the wonderful review. Regarding cons, we have noted your feedback on Optimus App and we are already thinking on the same lines. Regards, Team eZee. Hi Mohamed. Thank you for sharing your feedback. eZee Optimus is a product in its early stage, which is yet to reach its full potential. 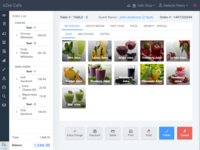 You'll see a lot many enhancements and updates coming in the product, which will take away all your current hassles in managing your restaurant. Till then, if you've got any queries, our live 24x7 support team is always there to assist you. Keep sending your suggestions to cm@ezeetechnosys.com. Regards, Team eZee. Hi Manoj. Thanks for taking time to rate us. You are welcome anytime with further feedbacks and suggestions at cm@ezeetechnosys.com. Regards, Team eZee. Overall: Capturing accurate sales figures from oulets and monitoring them from anywhere. Pros: Easy to use .User friendly interface.Billing system that reduces time consumption .Features like dine in ,walk away ,room service makes software very worthy. Cons: Very slow processing .Takes so much time to initiate.Billing of same room for different days having same guest need to be in collective form which is not present. 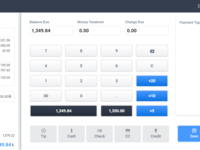 Overall: Reduced time consumption.Billing system improved .Record for transaction is safe and saved. Hi Javid, thank you for your feedback. We have noted your suggestions and passed to the concerned team. We'll get back to you with the best solution soon. Meanwhile, we regret the inconvenience caused to you because of slow bill processing. We suggest to contact your account manager whenever you face such issue. They will be able to help you instantly. Regards, Team eZee. Pros: table no shows in proper manner you people really made sub category which is really assist user. its damn user friendly we will suggest ever99/100.user friendly and very well educated tech support. always shows happy to help customer whether any time option for online chat which is really make more user friendly. Overall: optimus save our time and management which is main asset of team. love to have that. Hi, Praval. Delighted to see your review here. Thanks for appreciating our support team. Please keep sharing your valuable feedbacks if any at cm@ezeetechnosys.com Regards, Team eZee. Himali has been very supportive and prompt to reply. Hi Pranav, we're glad you appreciate the assistance that Himali has provided over the course of time. eZee Optimus is one of the most recent additions to our product line, and we're working consistently to add new things to the product everyday. We'll be coming up soon with Inventory and Stock management along with other exciting features. Stay tuned! Meanwhile, keep sending us your suggestions on cm@ezeetechnosys.com. Regards, Team eZee. Pros: There is nothing good about the software because the management is a lazy bunch. They are still living in 2000s and don't think customer concerns are real. They are a clear case if over promising and under delivering. Cons: It has major issues. Tax calculation was wrong at the time I used it. Printer wasnt supported. The service is poor. And while the product seems attractive at first it's only when you start using it you realise the issues. Overall: We moved away from this company within one month of use. And I am glad I did. Even at the cost of some payments we had made for integrations, refund for which is still pending since we never even started the integrations. We deeply regret the inconvenience caused to you. Whatever you experienced while working with us, happened due to misunderstanding and communicative errors from both ends. We've done whatever we could do to give you our best assistance, and the same would persist further. We always give our best efforts while catering to our clients and we would do the same for you if you choose to put your faith in us again.